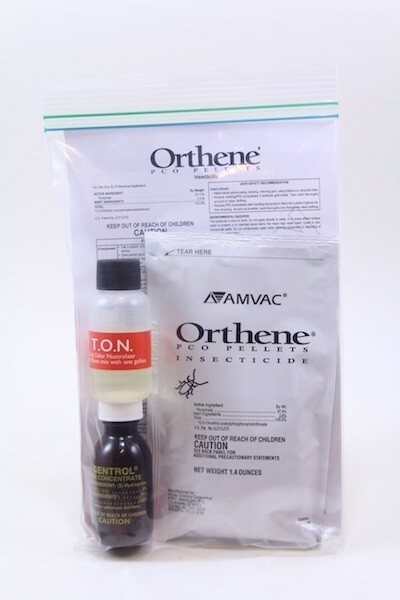 PRODUCT DESCRIPTION: Orthene PCO is one of the only organophosphates left in the pest control industry. This is important because resistance has become a problem for relentless pests like german roaches. 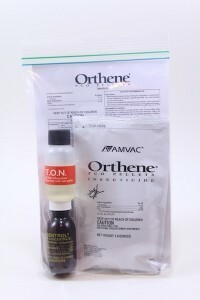 Acephate has never shown roach resistance and many professionals agree that Orthene PCO is the go to product for tough roach infestations. 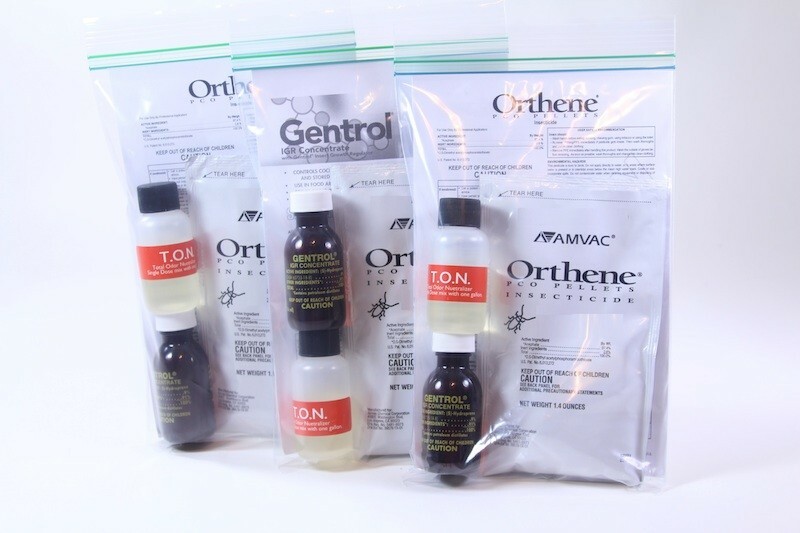 Orthene PCO provides quick knockdown and residual that can last 8-12 weeks. Orthene PCO controls insects by contact AND ingestion. This is why insects cannot develop resistance to acephate. Orthene is a soluble pellet (powder) which quickly dissolves in water. It leaves no visible residue nor will it "tie up" with grease or dirt. This makes it well suited for commercial kitchens. The other huge positive is that Orthene PCO is non-repellent. In other words, insects do not know its present and will therefore walk over the treatment with no cause for alarm or concern. This means it can be used with baiting programs to get rapid control of infestations. Orthene does have an odor. But the bottle of TON will remove and effectively take away the distinctive smell you'll notice when opening the pack of Orthene. Gentrol is a growth juvenile growth hormone. It won't kill anything but it will prevent your roaches from properly maturing. Gentrol, like Orthene, is non repellent. 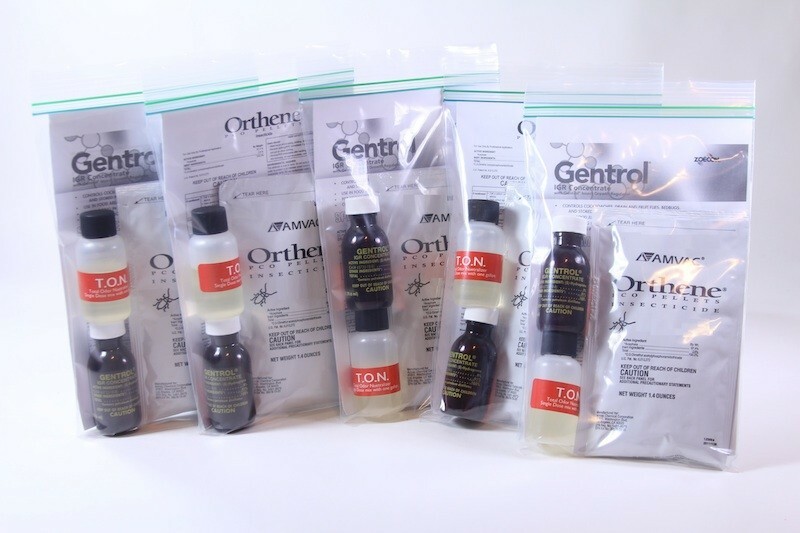 But unlike the stable, non volatile Orthene, Gentrol will translocate. This is a good thing. Basically Gentrol will move from where its applied to other areas in the home. In doing so, Gentrol will affect many more roaches and not just the ones which touch the treatment. Consider Gentrol to be your "safety net"; the areas you miss or can't spray with the liquid mixture will still be protected once the Gentrol migrates to the area. MIXTURE RATES: Each pack contains an envelope of Orthene, a vial of Gentrol and a vial of TON. To mix, you'll need a good pump sprayer. Add 1 gallon of water and next, the pack of Orthene. Next, the vial of Gentrol and then lastly, the vial of TON. Seal the sprayer and shake it well for 8-10 seconds before pumping it up to spray. WHERE TO USE IT: Mixed solution should be applied as a low pressure spot spray, a crack and crevice void spray or with a paint brush to localized areas where target pests are found or normally occur. This includes the corners of rooms and closets; around television sets and radios; along and behind baseboards; around and under sinks, dishwashers, washing machines, refrigerators, stoves and cabinets; areas where plumbing enters or leaves the room and other areas inhabited by insect pests. SPECIAL NOTE: Orthene won't kill on contact. Expect to see results 3 to 7 days following the application; 10-14 days for the Orthene PCO to reach its maximum effect on cockroaches. I live in an apartment and new neighbors moved in with their 6 legged friends. After spending 50 dollars on market brand items, the 6 legged monsters still would show up in my kitchen, living room and bathroom. A friend of mine told me about this product and it worked for her. Shipping was fast and securely packed. I was pre-warned about the smell, so I decided to spray it before I leaving for a weekend trip. I soaked the patio and front door and heavily sprayed the counter tops, bathroom floor, kitchen floor, behind the stove and refrigerator, the side of the dishwasher and up and down the walkway to me apartment. Upon returning home the smell was still in the air, so I open the windows and cleaned/bleached the inside of my place. It smelled like old man farts and collard greens. After 3-4 days I have not seen one live bug. There was some left in the bottle so I poured it at my front door just as an extra dose. The smell is horrible but hey if works, I'm all in. BugsBeGone! Seems like the product was in the mail as soon as I hit the purchase button. I will always use this product. It more than more exceeds my expectations. If you have a bug problem, this is what you want to use! Just wanted you all to know that we lived with these nasty things for over 2 years. Had a service but never seemed to get rid of the problem completely. Finally I took matters into my own hands, with the help of your products. Guess what? No more roaches!! Thank you so much!! I know to retreat periodically which I will continue to do. Once again, thank you for these awesome products. No more monthly service fees either. Will highly recommend you all to any one who needs roaches killed!!! Awesome! My girlfriend and I moved into a cottage in central Fl. 4 years ago and had a problem with German roaches ever since, we had to keep plates, glasses, silverware, toothbrushes ec. in the fridge to keep them safe.,We tried bleach, every bug spray and roach trap we could find, home remedies failed we even tried diatomaceous earth, no luck. 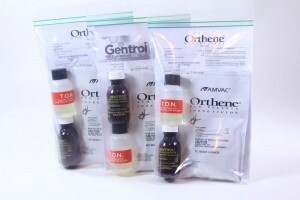 We found orthene, gentrol ton kit on line, ordered for only $25.00. It arrived within days. We removed all dishes, food etc. as directed then sprayed the entire 550 sq. foot cottage, focusing behind the fridge and around the microwave, within days we noticed dead roaches. Our small cottage didn't require the gallon of spray so to be safe we sprayed once a week to be safe after that I bought one kit a month and spray every few weeks, we have not seen a trace of any roaches or other pesty insects for that matter. !his product is amazing and you can't beat the price! The best home spray I ever used! You buy, you spray, bugs gone. I had thought about a professional exterminating company, but someone told me to try U-SPRAY. I am glad I did. Thanks U-SPRAY!